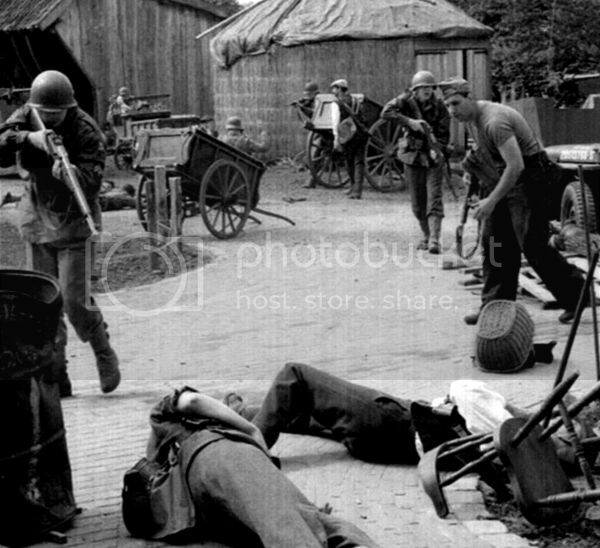 Holland, September 1944. 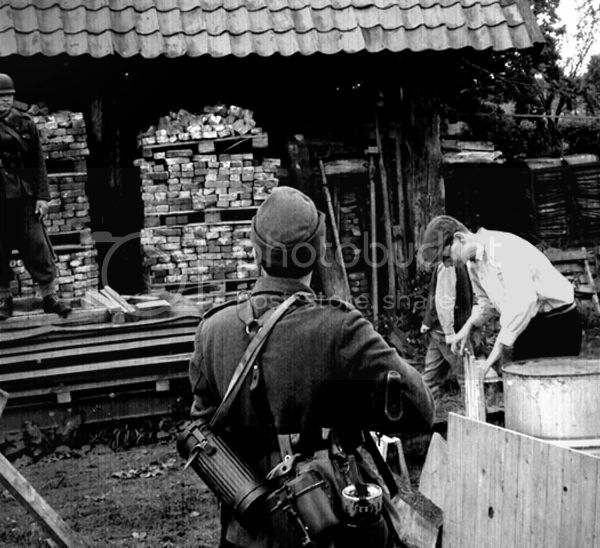 The small village of Nederweert is one of the strongpoints of the hastily improvised German line of defence. The 116. 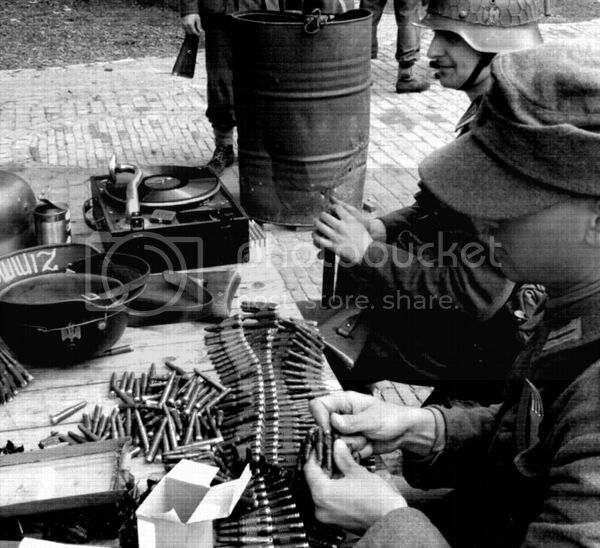 Panzer Division occupy Weert, Nederweert and the surrounding areas. Reformed, re-equipped and reinforced with new recruits, "Der Windhund"
is still a formidable and dangerous opponent for the Allies. 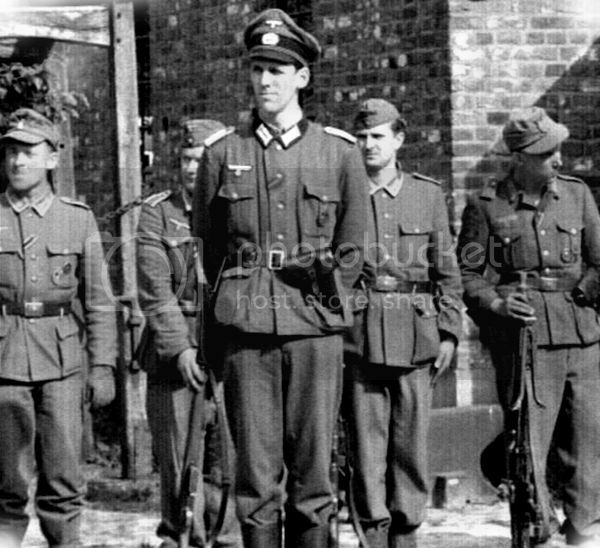 Leutnant Reinhard Klubertz, a battle hardened veteran, is given the task of holding Nederweert at all costs. 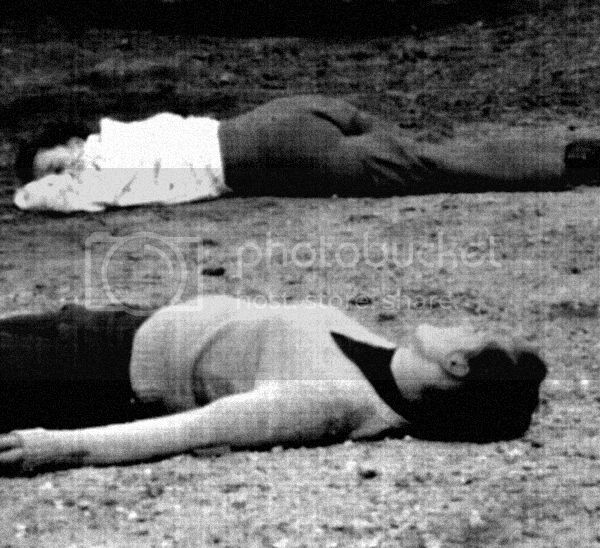 Gerd Mayer is seen here on the right, enjoying a brief moment of rest. 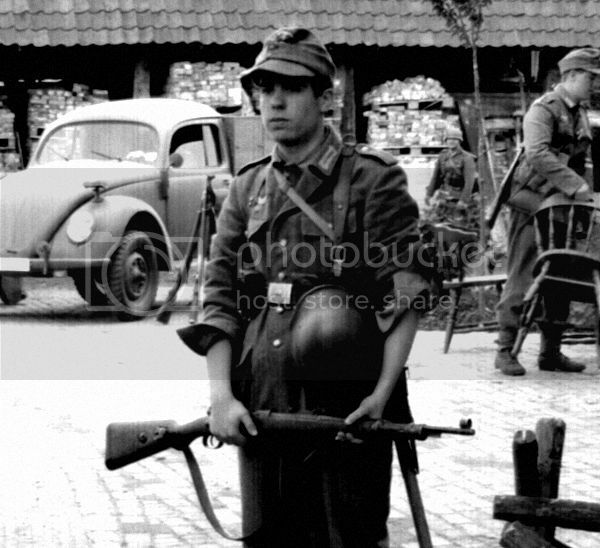 He is the commanding Feldwebel of a 'Zug' of Panzergrenadiere, defending the south entrance to the village. The western area of the region is attacked by American Thunderbolt fighter-bombers. For the Germans, it is just a daily occurrence. Since early 1944, the Allies have gained total air supremacy over Europe. miles before ricocheting off a barn roof, killing him instantly. Desperatly, onlookers try to bring the young victim to a hospital but all efforts are in vain. 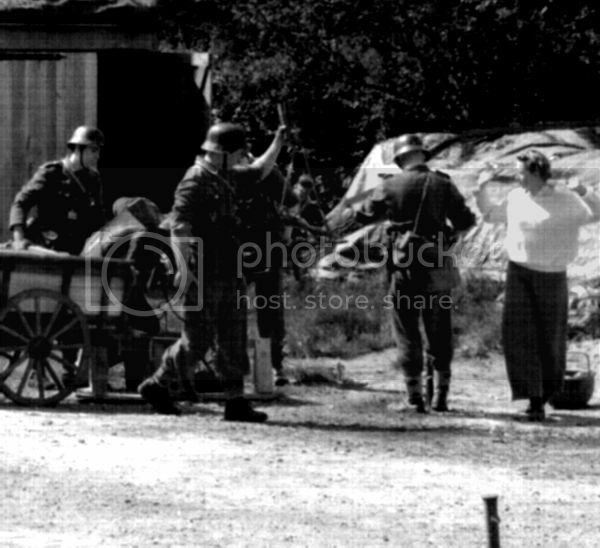 Feldwebel Gerd Mayer orders his men to check local citizens and refugees passing through the restricted area. Unteroffizier Neuner and Schreyer check out some suspicious civilians. 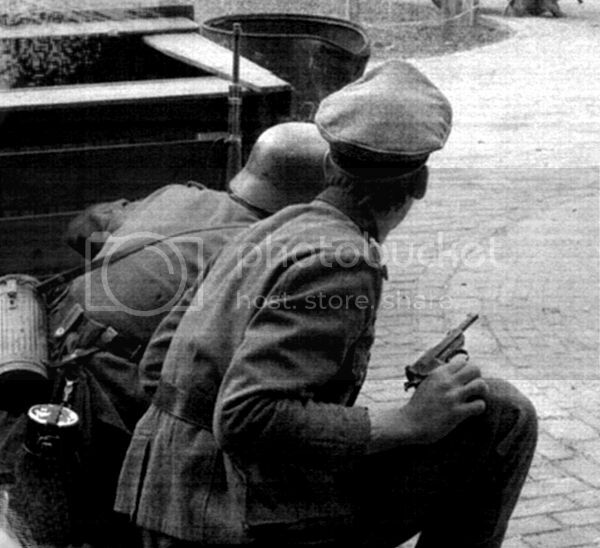 According to rumours, the Dutch resistance are likely to increase their activity in the coming days. This is the sad result of resistance in occupied territory. 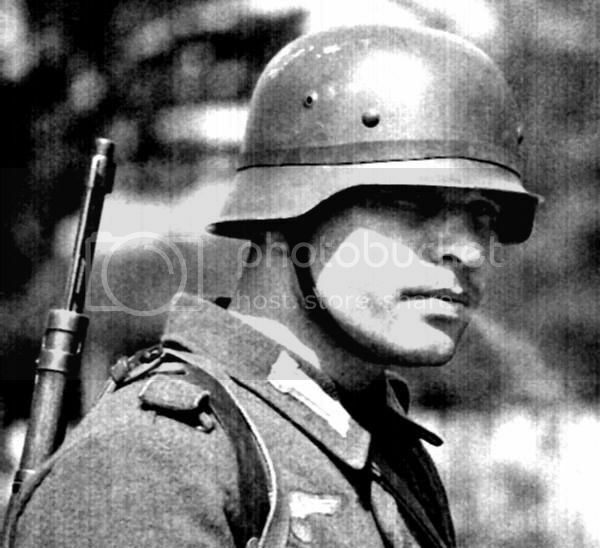 The face of a worried but alert Panzergrenadier. 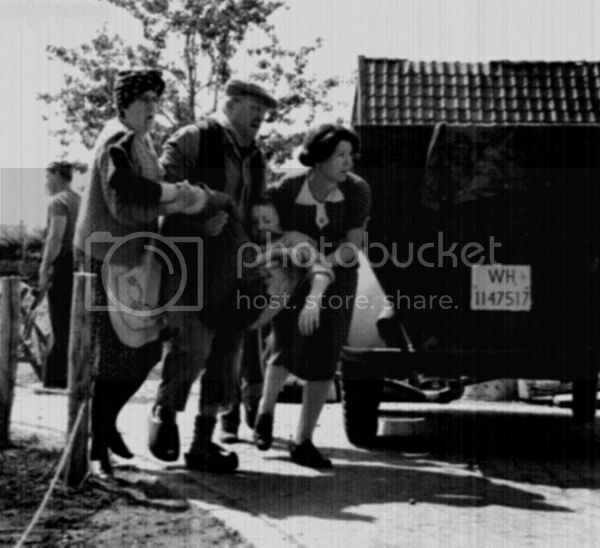 A group of civilians are put to work on roadblocks. In 2 days, the whole village is transformed into a strong fortification. 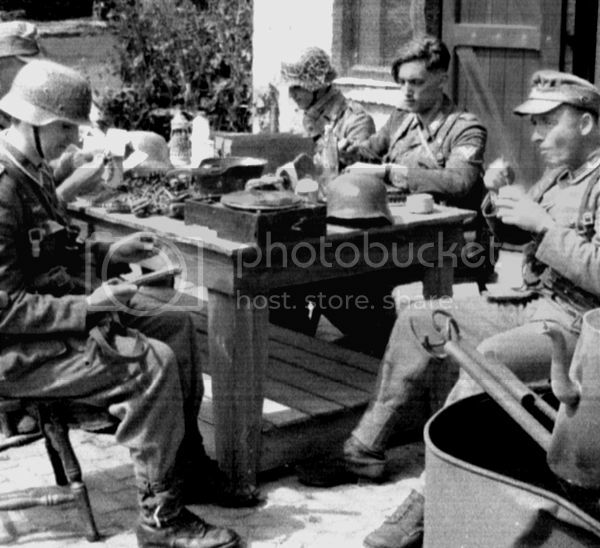 MG-Schütze Friedrich Zuckerbauch, on the first picture, cleans and prepares his MG42, together with Grenadier Hugo Dörn. His unit had been scattered all over the Nederweert region. is organised into belts for the MG.
Alarm! 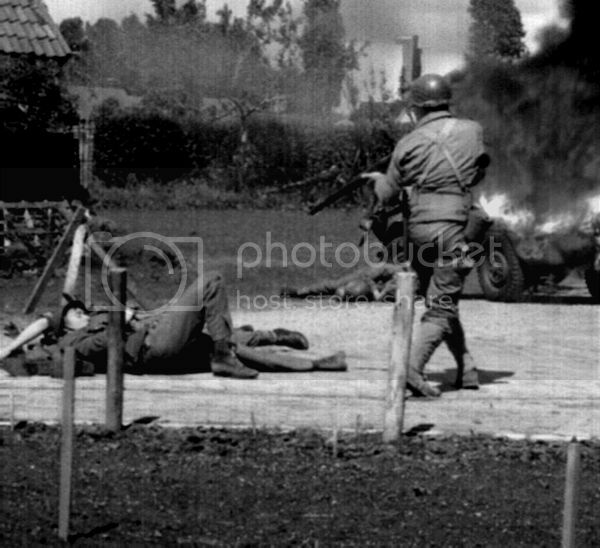 The Dutch resistance open fire on the troops and command post. Grenadier Löwe is wounded. A volunteer is needed to get him out of danger. 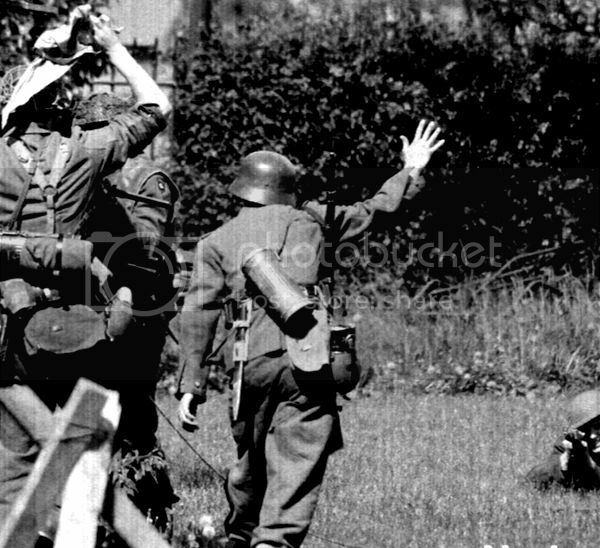 The Dutch resistance attack in worrying numbers. 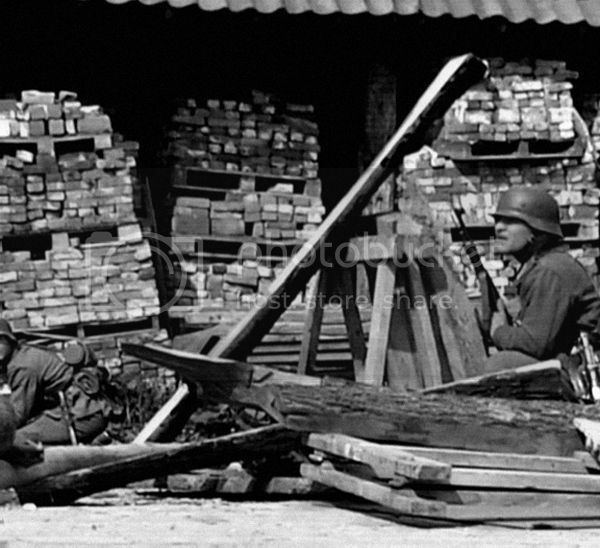 They shoot with stolen or allied weapons and throw Molotov cocktails. 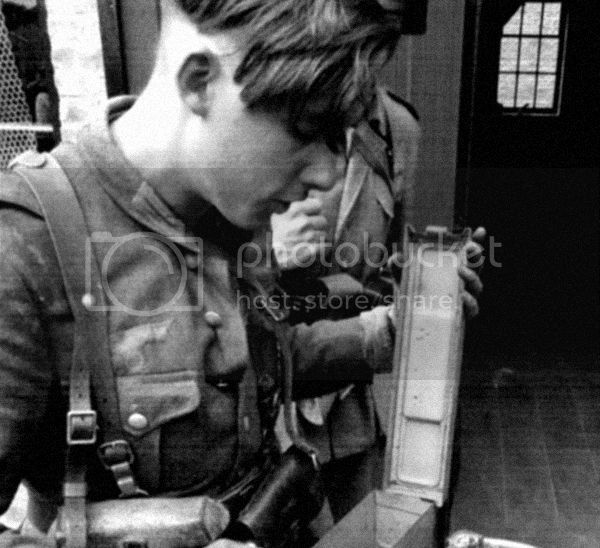 But there's our MG gunner! He would deal with these terrorists once and for all. The attemp to overrun fails. The MG42 pins everybody down with its high rate-of-fire. When the guns fall silent, the frightening sound of tracked vehicles is heard nearby. The soldiers take up their positions. The main Allied attack is about to begin. Artillery then begins to shell the area, but it is badly coordinated because all projectiles impact over 200m behind the lines. 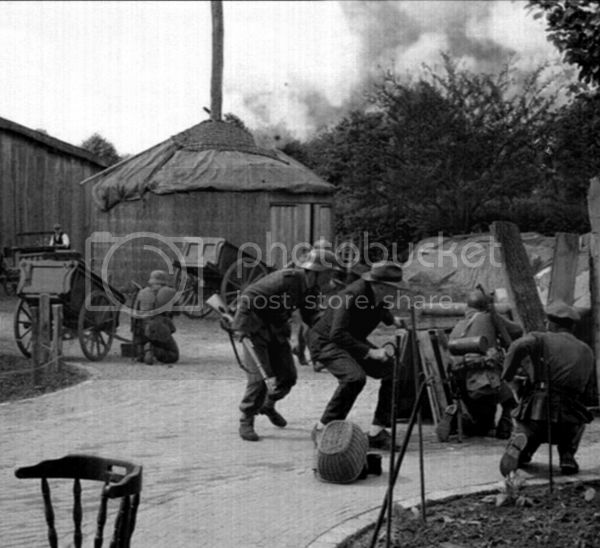 This rare picture shows the Germans in a counterattack, just before artillery drives them back. Suddenly, shots are fired from barns and hedgerows in front of the roadblocks. 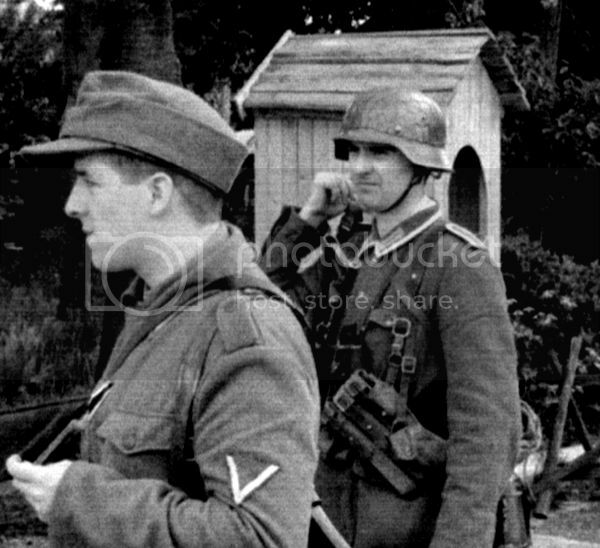 Recognising their typical helmets, Unteroffizier Schreyer shouts to his men that the British are coming. After bitter street-fighting, the first British strike is held off. Obergefreiter Voss and Leutnant Klubertz try to locate the enemy positions. 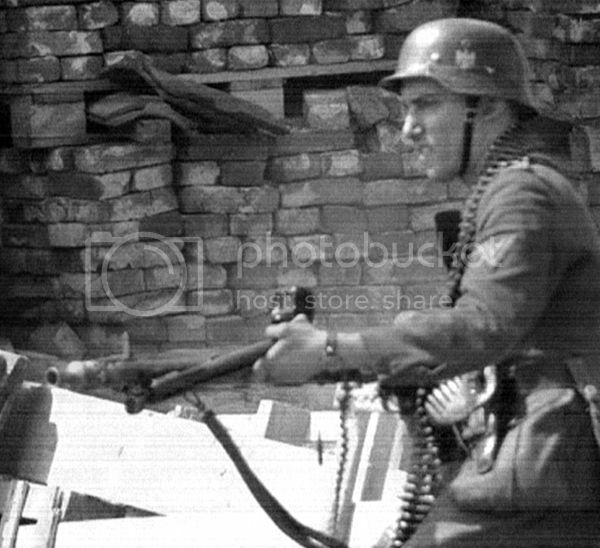 Grenadier Rawe, Dörn and Unteroffizier Neuner try to hold their positions and push the enemy back. Fate, however, decides otherwise. 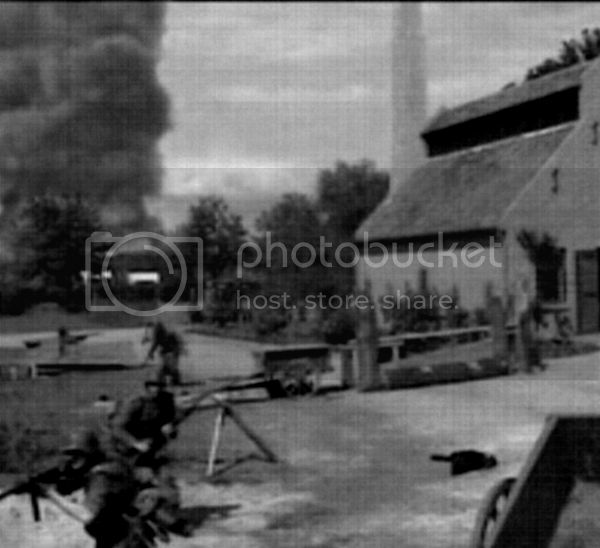 Gefreiter Voss is smashed to the ground by a heavy explosion. The air pressure throws him to the other side of the road. Pull back! Retreat! The British now attack together with Americans from both flanks. 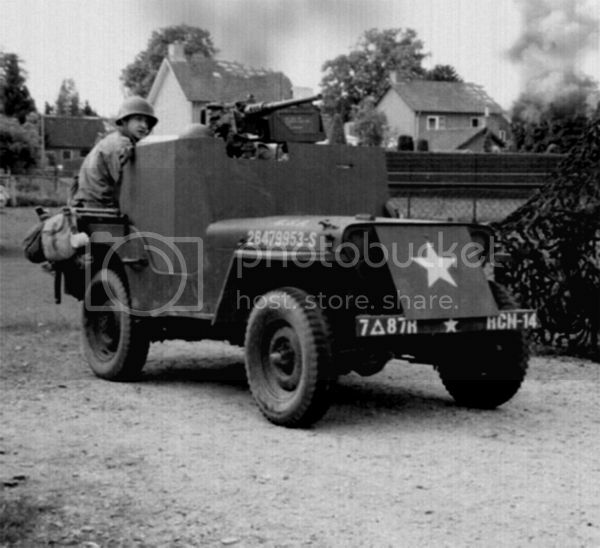 Now the Allies bring up more heavy weapons, more men and armoured vehicles into the battlefield. 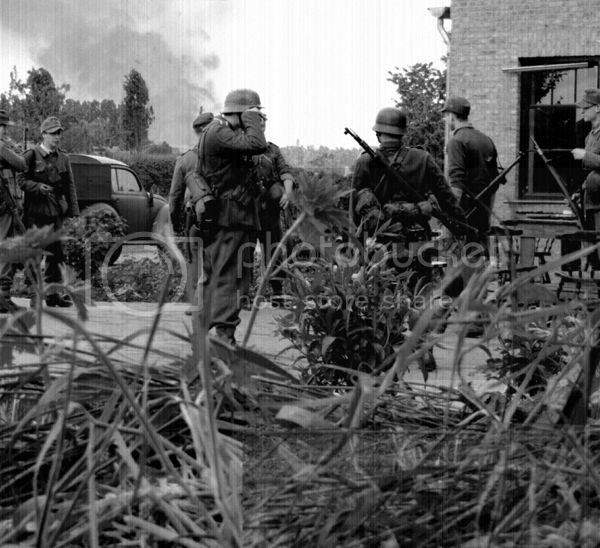 Surrounded and outnumbered, the bulk of the German company is forced to surrender. Some can't face defeat and fight to the bitter end. 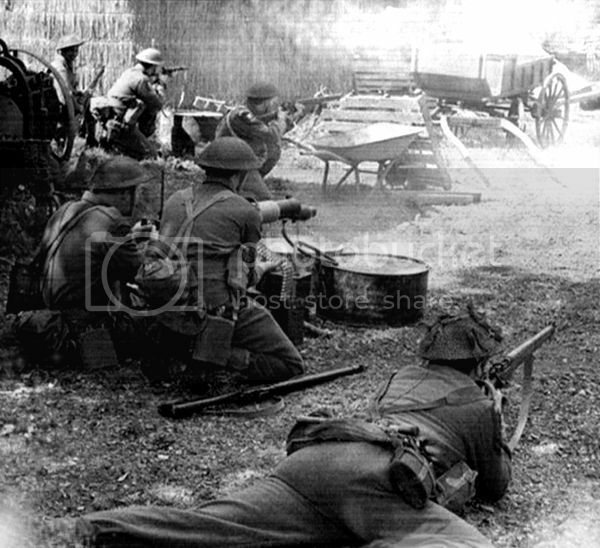 A few individuals break out of the encirclement and manage to reach other remnants of the 116th Division, who are fighting north of the village. The battle is over. 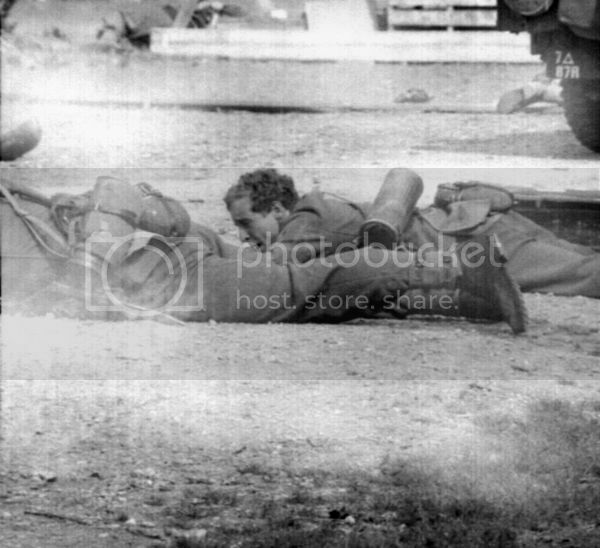 The area is riddled with the bodies of dead Grenadiere... at least for them, the war is over. Fantastic story! Excellent pictures! Bravo! Excellent gentlemen! as Herr Ulrich mentioned, Bravo! Excellent story , with some fantastic pictures - one of my favourite formations , I presume this was based on actual events in the history of the 116th ?